I've been playing with my new Glimmer Mist sprays - any excuse, really! I sprayed a background, then overstamped just a little, added a bit of shading on the edges... just playing but oh! what a beautiful result. I love the glimmer and the shimmer - subtle, not over-the-top, but definitely there. 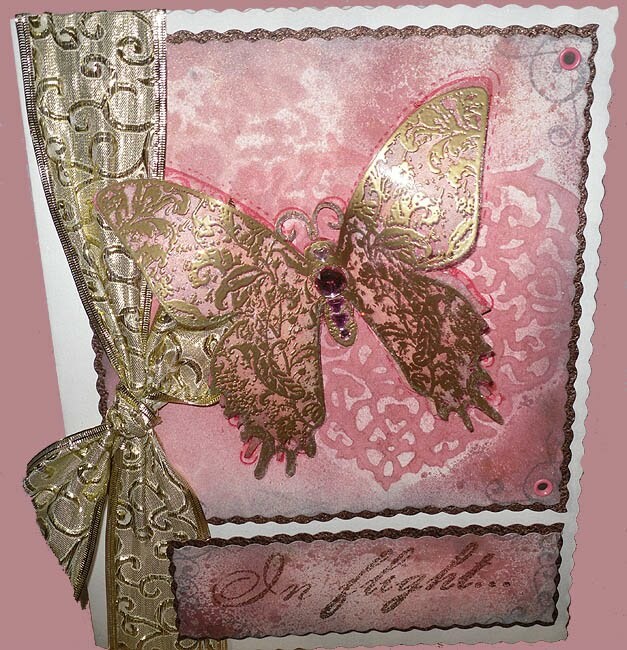 I also used the stamps from the Tattered Angels butterfly set, and the large heart from their Glimmer Screen pack. The butterfly is stamped on the background, stamped again and cut out then mounted with a little silicon gel, and finally stamped for a third time (and embossed) onto acetate. Very dimensional! Here's the link for general tips and advice, and my new class using all the Tattered Angels goodies is on Saturday 18 September. Oh,my...what an awesome work,dear Sisie!!! 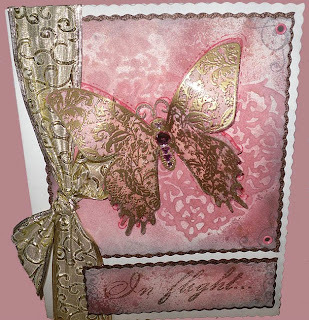 Wow - gorgeous - the pinks are very subtle, but that gold sends it into another dimension altogether. 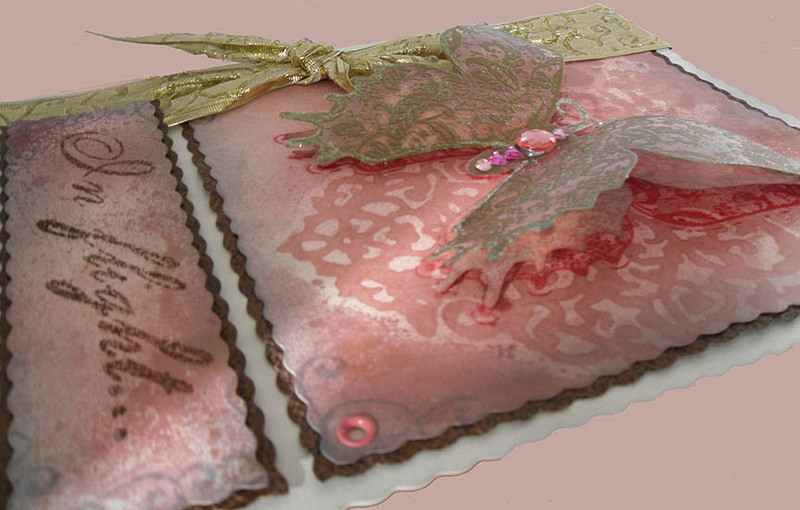 Shimmery and sumptuous, just love it!